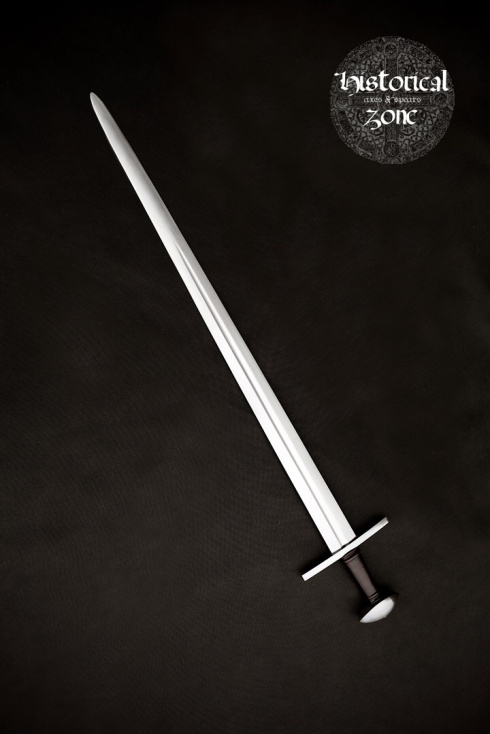 New sword with scabbard is available!!!! 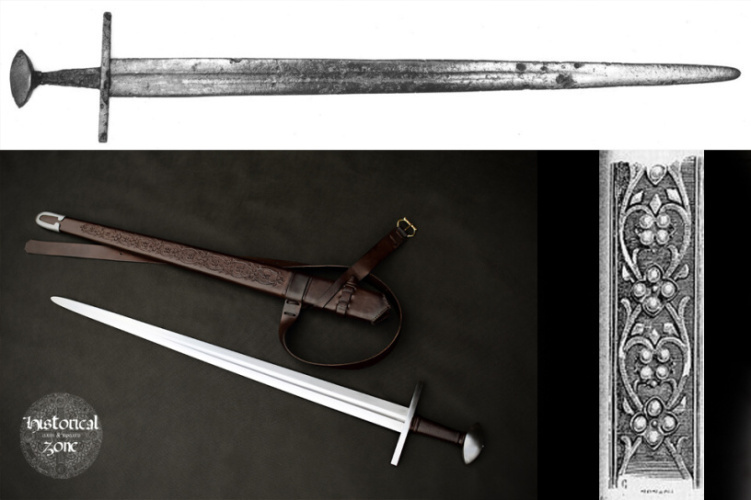 That sword is modeled on the historical find 980c. - 1150c. 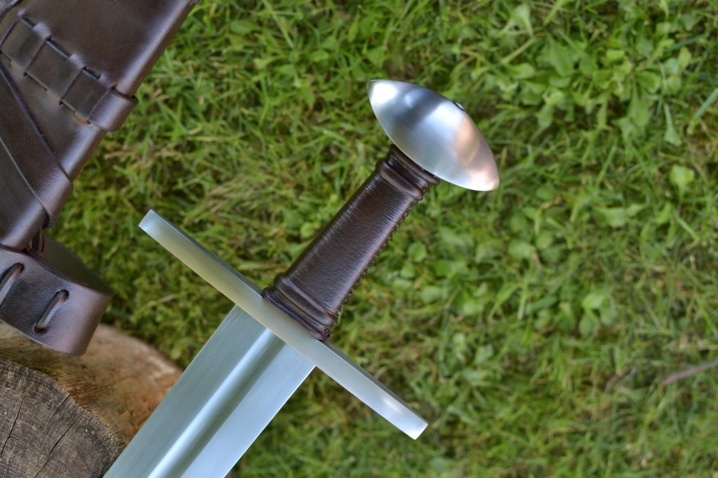 The original sword weight is 1195g - the weight of that one on picture is 1190g. 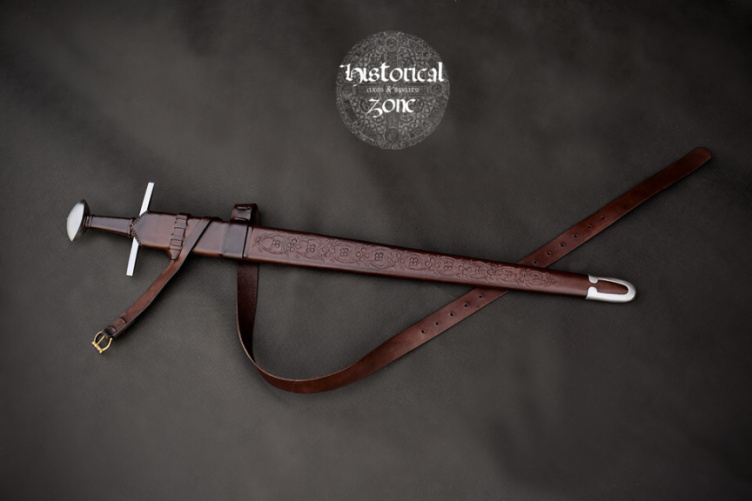 It is full funktional, made with high quality steel , hardened 54HRC. The edge is sharp. 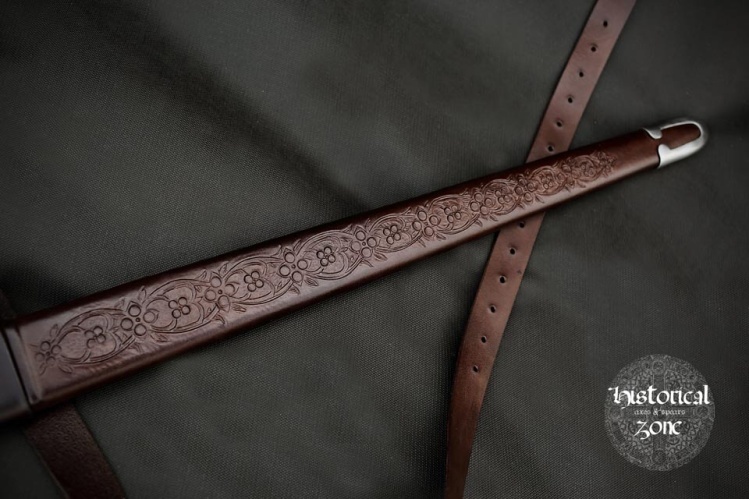 The sword and the scabbard is full handmade. 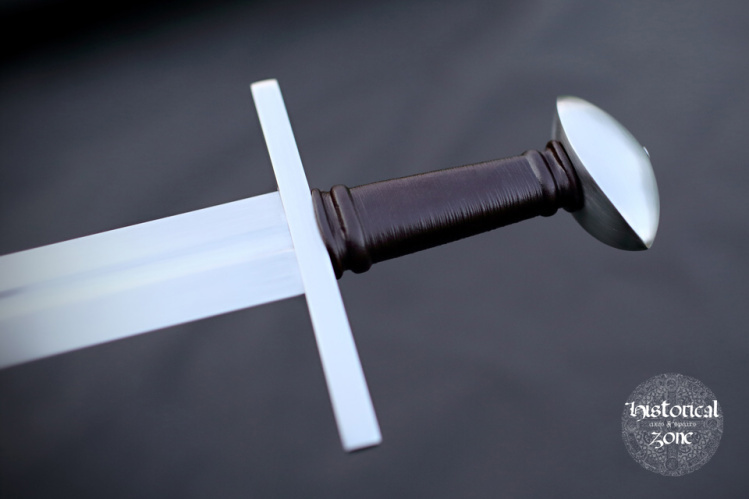 The scabbard is sculpturing with inspiring on design from X-XIIc. All questions on prive please. I'm not sure what the site owner's policy is, but I think that when one posts information on a public forum, one has to be prepared for some open discussion! 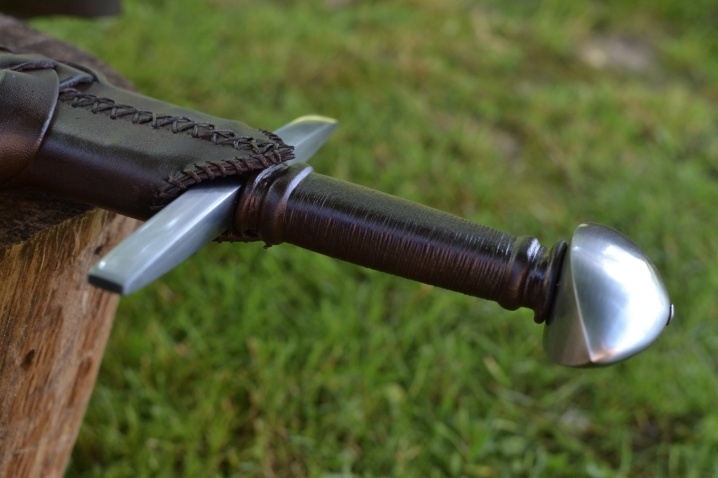 I think its a very nice looking sword. 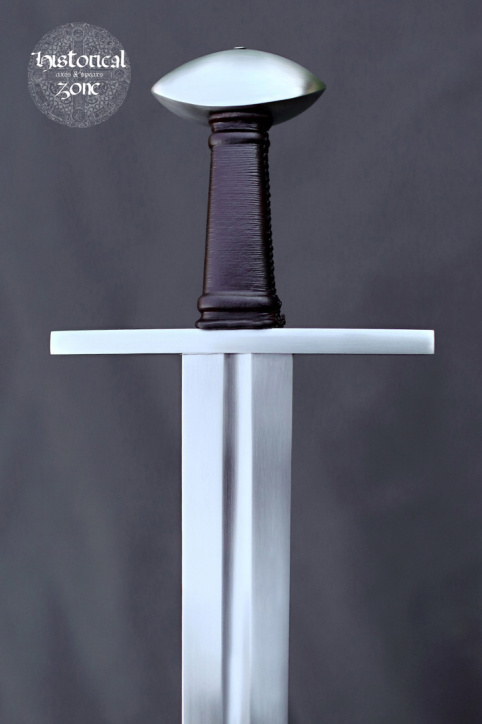 With those dimensions and weight, it should be very lively for a sword of this type and era. Also, I particularly like the boat shaped cross, which looks like an elongated viking cross. 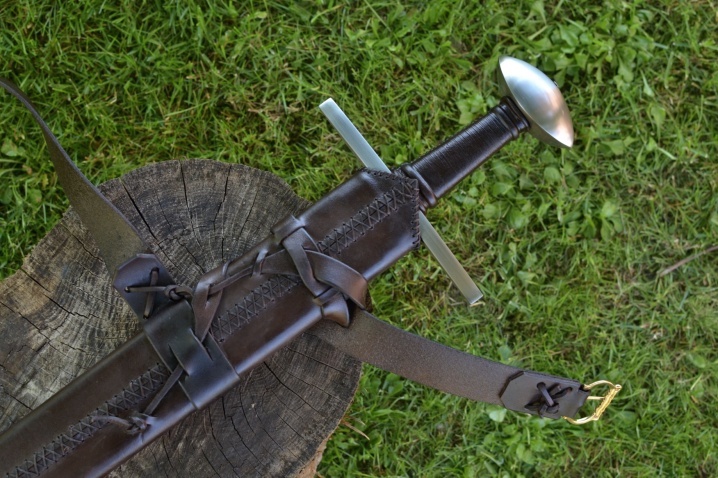 At that price, a hand made sword and scabbard are a great buy. 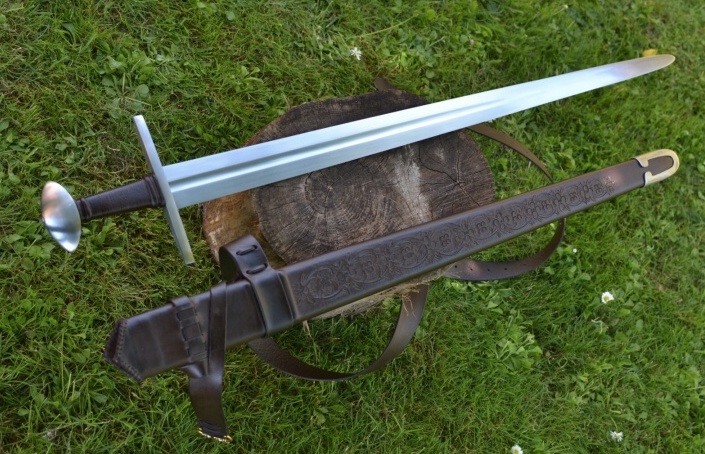 If I hadn't bought one of similar type recently from Maciej I would be sorely tempted to buy this sword before your prices go up. 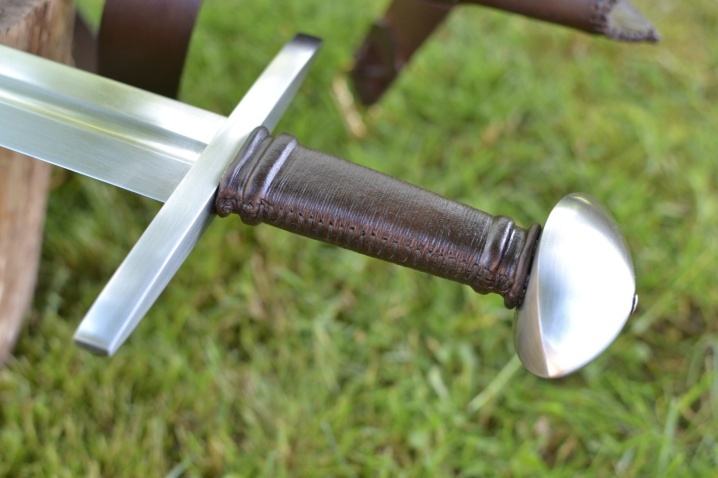 1) the grip size seems historically accurate, but I like a thicker grip. Also the shiny leather suggests that it might be a bit slippery? 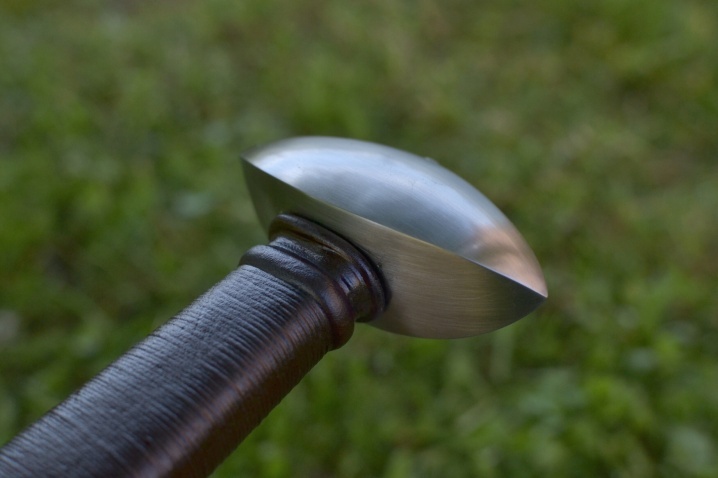 2) the blade profile taper looks very linear in these pictures, which is usually more typical of later centuries. 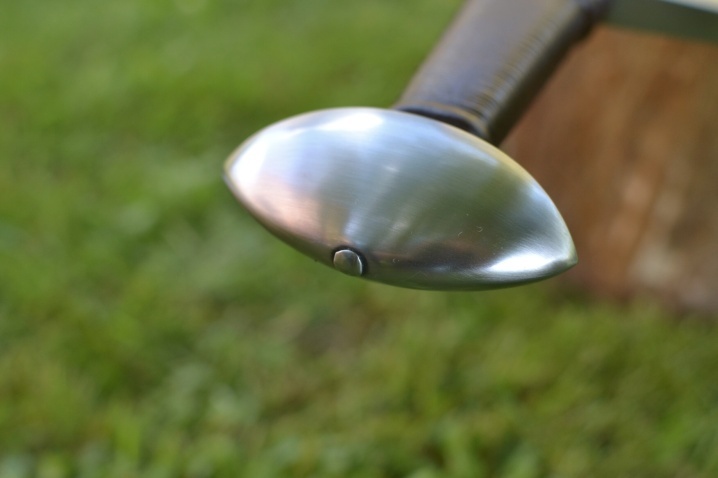 If you look closely at the original, it has a slightly curvilinear profile. But as they say on 'Forged in Fire'; overall, nice job! I do have one question. Are you related to Mateusz Sulowski? You have got the right. I will answer all questions on forum. I was try to make it like it is in oryginal find. 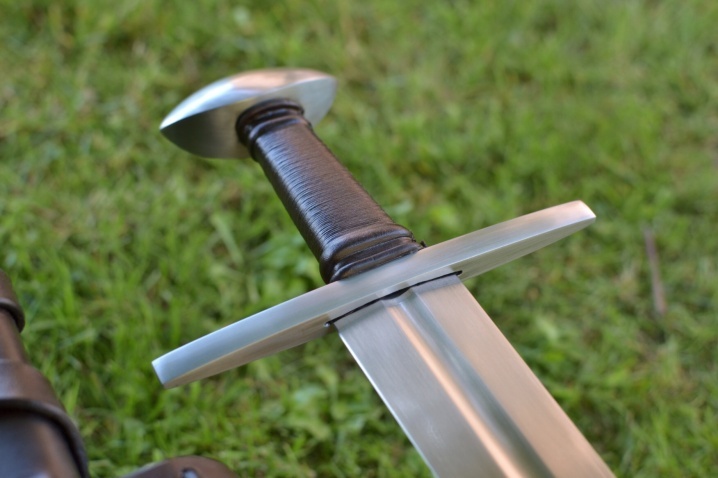 The sword after hardening is straight, so I am happy with it. 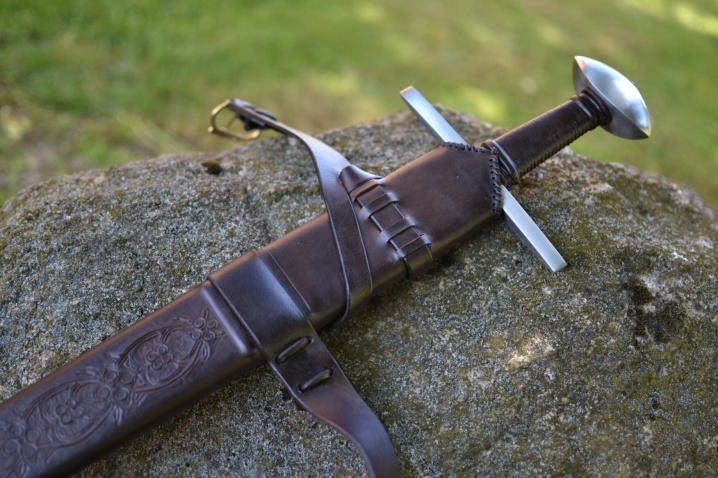 To the skin on scabbard – it is not so shiny but it look like that on pictures. I think it is not slippery. Mateusz Sulowski is my brother. In the past we worked together but it was other kind of blacksmithing. Thank you for your opinion. I like it very much Damien. 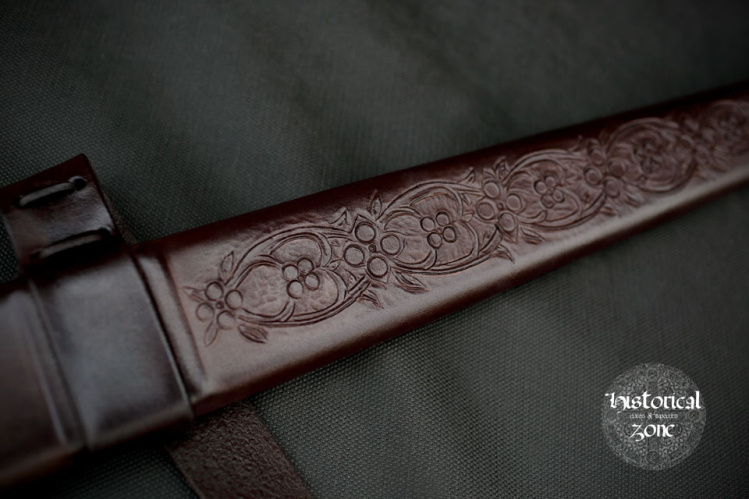 Excellent work on the scabbard tooling. 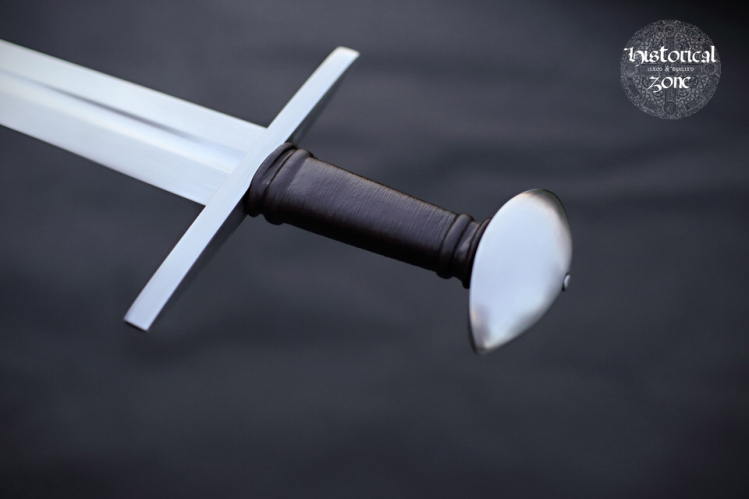 Very interesting to see you develop sword making. 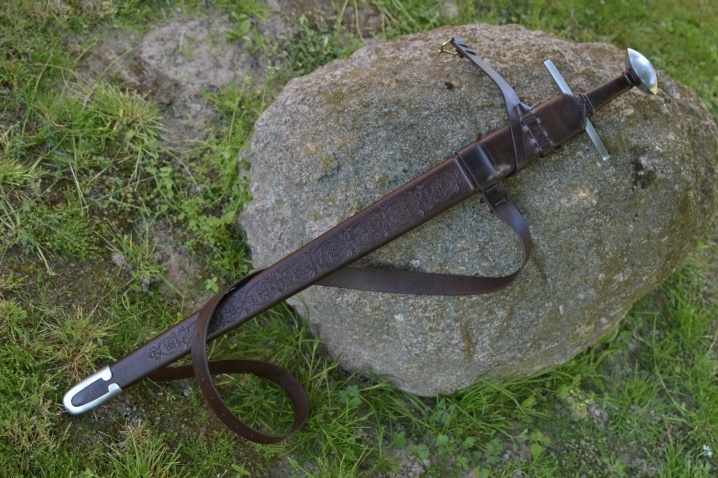 FWIW I have an axe from Damien just from this spring. It's very nice and I can recommend his work and shipping to USA. Thank you very much J. Nicolaysen for your opinion. I hope the axe works well. Hallo my friends. 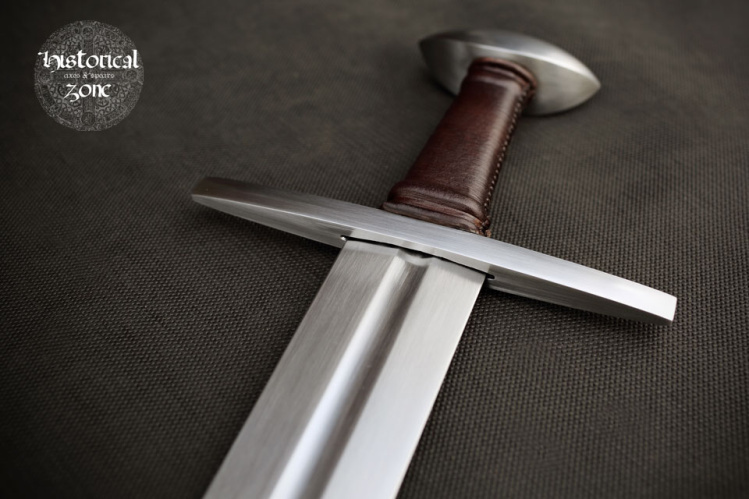 Because the sword isn't sold jet. I give you new pictures and price - 800USD. Thank you very much for so great interest. 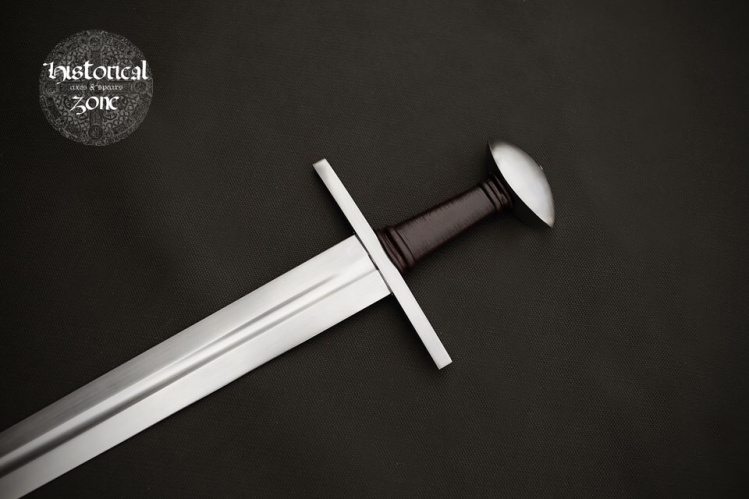 The sword is sold.